Which players give you the most bang for your buck? It’s an age-old question, particularly among front office executives. How can you put together the best team possible, one that has a chance to contend for the World Series, at the smallest possible cost? At Standing Room Only, we’ve found the answer. This is the All-Economy Team of 2017. First, though, a few notes on how we came up with these calculations. If you don’t care about all my hard work, and you just want to skip ahead and complain about who made the All-Economy Team, go ahead. I’m just a guy with a keyboard. I can’t stop you. The ratio is pretty simple: take a player’s value on the field, and relate that to the value of his contract for the single season. Numerically speaking, the value of the contract is easy: spotrac.com and Baseball Reference each have information on every player’s contract value. Value added on the field, though, is trickier. How do you put a single numerical value on a player’s ability? Do you focus on home runs? RBI? Batting average, or on-base percentage? How do you factor in defensive skill? To show the difficulty in assigning an all-encompassing value, look at the AL MVP race between Aaron Judge and Jose Altuve. Judge has a clear edge in power and run production numbers, and a slight advantage in OBP. But Judge also strikes out at nearly triple the rate that Altuve does, and Altuve offers more speed on the basepaths. So who’s the more valuable player? Jose Altuve, or Aaron Judge: who’s the AL MVP? Depends on which stat you value more. The figure to look at is WAR, or Wins Above Replacement. The stat is meant to show how effective a player is compared with a baseline average; in this case, the baseline is a “replacement-level” player, or a typical Triple-A call-up. If you need a single, all-encompassing number to measure player value, WAR is the best option. That doesn’t make it perfect: WAR is a mystical mish-mash of mathematical calculations, where sabermetricians smarter than you or me throw a bunch of stats into a cauldron and pull out a piping hot WAR number. I have no idea how the number is calculated; Fangraphs and Baseball Reference apparently can’t agree either, as they use different formulas to calculate WAR. Wins Above Replacement is not the be-all, end-all measure of player value. However, for the purpose of this study, where we need a single number to measure player value, WAR is the only realistic solution. The other problem with WAR is comparing value between positions. Is a good shortstop more valuable than a good left fielder? Do starting pitchers or relief pitchers produce more value for their team? I’ve overcome this difficulty with WAR by only comparing players at like positions. I’m only comparing a second baseman with other second basemen, rather than comparing their value to a pitcher. For this study, I’ve tried to accommodate some of the discrepancies of WAR by taking the average WAR value between Fangraphs and Baseball Reference. I then divided that average WAR value by the value of that player’s contract for the season. The resulting number is the “cost per win” for the player. For example, a player that produced 2 Wins Above Replacement playing on a one-year, $2-million contract would have a cost-per-win of $1 million. Now, you math nerds have probably thought of something . A player can be so bad that they produce negative WAR, or an even zero. In those instances the calculation doesn’t work; we can’t divide by zero. Then again, if a player is producing negative WAR, they wouldn’t be making the All-Economy team anyway. You never want players to produce negative wins. However, in some cases it’s not too penal. If a player is in his first year in the majors and produces zero wins, but is only paid the league minimum, the front office doesn’t feel too concerned. If an established star playing on a multi-million dollar contract is playing below replacement level, that’s a big problem. In the list below, in addition to the All-Economy Team, I’ve also included what I call the “Infinity Club,” made up of players who produced negative WAR and were paid over $1 million this season. There’s also an important note to be made on baseball contracts. Baseball players are paid based on past results, not future performance. If we had to predict who will be a more productive player over the next five years between Cody Bellinger and Albert Pujols, 99 out of 100 of us would pick the Dodgers’ rookie. But Bellinger is still playing on his rookie contract; Pujols was paid $26 million this season. That discrepancy makes sense when we consider that the contract is based on past performance. Bellinger has produced 4.0 career WAR (per Fangraphs); Pujols has produced 89.1. To put it another way, baseball players are woefully underpaid at the beginning of their careers, and egregiously overpaid at the end. As such, most of the players on the All-Economy Team are still on their rookie contracts, or are playing on very team-friendly deals. One final point before we get started: who qualifies for the All-Economy Team? For position players, I considered any player who played 50 or more games at a position. I considered the whole outfield as one single position in this qualifier: if you played 50 games anywhere in the outfield, I calculated your cost-per-win. I only considered players at one single position. For instance, Ben Zobrist played over 50 games at both second base and outfielder; however, he played more games at second, so I’ve only considered him eligible for second base. For starting pitchers, I took the four pitchers on each team who started the most games, as well as any pitcher who started 20 games during the season. For relief pitchers, I included any pitcher that made 60 appearances, regardless of inning totals. Are these qualifications arbitrary? Maybe. But I’m the one writing the article, so what I say goes. Alright, enough explanation: let’s get to the list. Starter: Gary Sanchez, NYY. Backups: Willson Contreras, CHC; JT Realmuto, MIA. Aaron Judge may have hogged the headlines in the Bronx, but Gary Sanchez had a stellar sophomore campaign following his late-season breakout in 2016. In his first full season with the Yankees Sanchez launched 33 homers, and made a stride forward in cutting down on his strikeouts. His defense behind the plate needs a bit of work, particularly regarding passed balls; he was tied for worst in the league with 16 over the course of the season. Sanchez is still playing on his rookie contract, and isn’t eligible for arbitration until 2020. 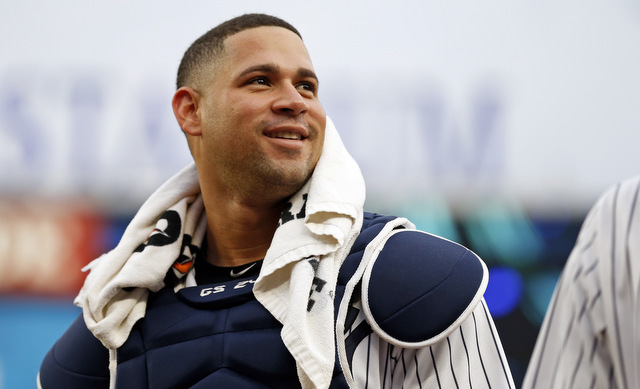 As one of the best catchers in the league, and currently one of the cheapest, the Yankees are hitting pay-dirt with Sanchez behind the plate. Infinity Club: Drew Butera, KC; Jeff Mathis, ARI; Matt Wieters, WAS; Jose Lobaton, WAS. Butera and Mathis were somewhat expensive backups to Salvador Perez and Chris Iannetta, respectively, so their lack of production isn’t too damaging. But for the Nationals, this is just awful. Wieters was paid $10.5 million to appear in 123 games and produce -0.35 WAR. His backup Jose Lobaton was worse, providing -0.8 WAR at a “bargain” price of $1.5 million. Wieters will be back in Washington next year after accepting his player option for another $10.5 million. Starter: Cody Bellinger, LAD. Backups: Justin Bour, MIA; Josh Bell, PIT. When you break the National League record for home runs hit by a rookie, you get to be on the All-Economy Team. Bellinger wasn’t just one of the best rookies in the game–he’s a lock for NL Rookie of the Year–he was one of the best first basemen in the game, anchoring the Dodgers lineup and flashing the leather at first. It remains to be seen whether his unique swing might give him some problems as pitchers start to figure him out, but Bellinger’s place on the team this year should come as a surprise to no one. Infinity Club: Mike Napoli, TEX; Miguel Cabrera, DET. How the Miggy have fallen. Former AL MVP and Triple Crown winner Miguel Cabrera finds himself in the Infinity Club after a -0.5 WAR season. The Tigers paid him $31 million this season; he’s still due $184 million through the 2023 season. Unless Cabrera returns to something close to resembling his former self, the contract he signed in 2016 could go down as one of the worst in history. Starter: Whit Merrifield, KC. Backups: Yolmer Sanchez, CWS; Javier Baez, CHC. Merrifield is one of the quietest young studs in the game of baseball. In his second year with the Royals Merrifield produced 3.5 WAR while spending the majority of his time at second base. Never much of a power guy, Merrifield joined the home run revolution by launching 19 dingers this season. A versatile defender with solid offensive production gives Kansas City a strong young player to either build around or deal as part of the rebuild process. Infinity Club: Darwin Barney, TOR; Danny Espinosa, LAA; Rougned Odor, TEX. For starters, I couldn’t tell you for the life of me why Darwin Barney was paid nearly $2.9 million this season, given that his best season was five years ago (and even that season with the Cubs wasn’t outstanding). Espinosa was traded by the Nationals last offseason, and they clearly made the right move; the Angels cut Espinosa in July after a woeful season. Rougned Odor is the interesting one here; he was once heralded as a potential stud, a rare power threat from second base for the Rangers. The power was still there this season, with 30 home runs, but the batting average plummeted to .204 and his defense failed to improve. He could be a prime positive regression candidate next season. Starter: Alex Bregman, HOU. Backups: Jose Ramirez, CLE; Travis Shaw, MIL. 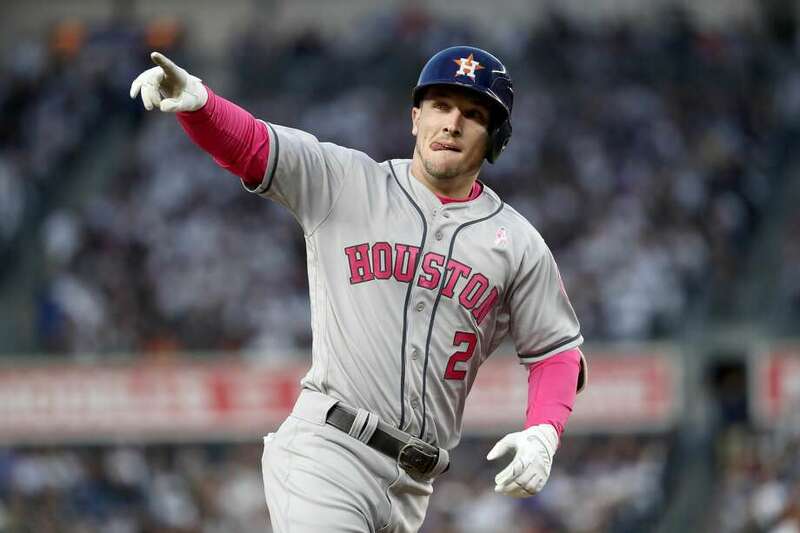 World Series hero for the Astros, and now starting third baseman for the All-Economy Team; what a sophomore season for Alex Bregman. He put up solid, if unspectacular numbers after his July call-up last season, but he stepped up his game in 2017. He cut down on the strikeouts (down from 24% to 15%). He ticked his batting average up 20 points, and his OBP up 40. His poise at the hot corner was on full display during the postseason series against the Yankees and the Dodgers. Bregman has the potential to be one of the best players of his generation; he’s that good. Infinity Club: Trevor Plouffe, OAK/TB. After a solid 2016 season with the Twins where Plouffe slashed .260/.303/.420, Plouffe cashed in during free agency with a $5.2 million, one-year deal with the Athletics. But it was a foolish contract; Plouffe has gotten worse every year since 2014, and this year was a bit of a cliff. After batting just .214 with the Athletics, Oakland sent him to Tampa Bay at the deadline for a player to be named later. In 42 games with the Rays, Plouffe’s average dipped further to .168. With Mike Moustakas and Todd Frazier entering free agency at third base, it seems unlikely that Plouffe is going to get much attention from suitors this offseason. 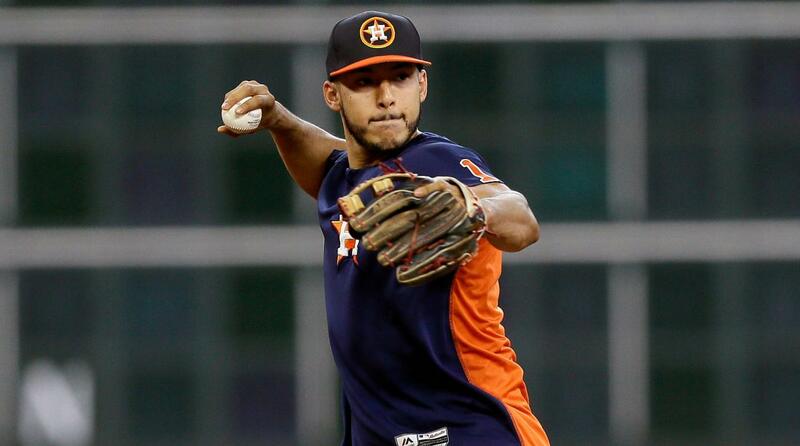 Starter: Carlos Correa, HOU. Backups: Francisco Lindor, CLE; Corey Seager, LAD. It’s true: we are in the Golden Age of the Young Shortstop. Correa, Lindor, and Seager were the top three shortstops in baseball this season, by WAR. Other youngsters like Paul DeJong and Trea Turner also turned in stellar seasons. There’s almost nothing to separate Correa, Lindor, and Seager over the long haul; Correa probably offers the best bat, though Lindor has the slight edge in defensive play. This season, the edge goes to Correa. He is a World Series Champion, after all. Expect these same three to hog this spot for years to come; with arbitration coming up in 2018, none of them are eligible for free agency until 2022. Infinity Club: Aledmys Diaz, STL; Erick Aybar, SD; Adam Rosales, OAK/ARI; J.J. Hardy, BAL. Aybar and Rosales are journeymen shortstops near the end of their careers, so it’s unsurprising to see them here. J.J. Hardy has been over the hill for a while now for the Orioles, and given Tim Beckham’s stellar second half to the season it’s safe to assume Baltimore won’t exercise their team option on the veteran shortstop. Aledmys Diaz is a bit surprising, though. He had a stellar rookie season with the Cardinals, where he received almost 10% of the NL Rookie of the Year vote. His defense really took a step back this season, posting -10 DRS (per Fangraphs). His batting average dropped over 40 points. I’m not enough of an expert to tell you what happened to Diaz in his sophomore campaign, but I know enough to see why Mike Matheny turned to Paul DeJong to cover short. Left Field: Tommy Pham, STL; Center Field: Chris Taylor, LAD; Right Field: Aaron Judge, NYY. Reserves: Byron Buxton, MIN; Steven Souza Jr., TB; Michael Conforto, NYM; Mookie Betts, BOS; Domingo Santana, MIL. When you take the league by storm, contend for the AL MVP, and get a seating section in Yankee Stadium named after you in your rookie season, you get to be on the All-Economy Team. Judge is playing on his rookie contract worth around $550,000 dollars; for that price he produced 8.2 WAR (8.1 on Baseball Reference). It doesn’t get much better than that. In center field, Chris Taylor has been an excellent story for the Dodgers this season. In his tenure with the Mariners he kept bouncing between the majors and Triple-A, too good for the minors but never good enough for the big leagues. The Dodgers picked him up from the Mariners at the 2016 deadline, and after an offseason of work Taylor came back with a new approach at the plate. It paid off: Taylor’s slugging percentage went up 130 points, and he settled in at the top of the Dodgers’ order. Tommy Pham was demonstrably the best player for the Cardinals this season. He broke out in his third year with the Cardinals, leading the team in OBP and posting a .520 slugging percentage. His biggest asset is his speed; Pham registered 25 stolen bases this season. The Cardinals are in that awkward “do we try and rebuild or do we go for a championship” stage, but its a safe bet to think Tommy Pham will stick around at least through his arbitration years. Infinity Club: John Jaso, PIT; Steve Pearce, TOR; Melky Cabrera, CWS/KC; Brandon Guyer, CLE; Carlos Gonzalez, COL; Jayson Werth, WAS; Andrew Romine, DET; Jose Bautista, TOR; Matt Kemp, ATL; Ian Desmond, COL.
We have officially arrived at “over the hill.” Most of these guys used to be studs. Carlos Gonzalez had multiple 3+ WAR seasons with the Rockies in the early 2010s. Matt Kemp played the best years of his career with the Dodgers eight years ago. Ian Desmond was never the best defender–particularly at shortstop–but posted good offensive numbers with the Nationals just a few years ago. Jose Bautista had one of the greatest bat flips of all time in the 2015 postseason, but has been woeful ever since. Jayson Werth…well, he was good when the Nats first signed him. These guys are at the back ends of their contracts, and are going to ride off into the sunset soon. Maybe just not soon enough for the teams paying them millions of dollars. Starter: Robbie Grossman, MIN. Backup: Ryon Healy, OAK. Infinity Club: Matt Holliday, NYY; Hanley Ramirez, BOS; Brandon Moss, KC; Kendrys Morales, TOR; Victor Martinez, DET; Carlos Beltran, HOU; Mark Trumbo, BAL; Albert Pujols, LAA. Brett wrote an article last spring saying that teams didn’t want to pay big money for a player who couldn’t play in the field. The data back him up here; eight of the 15 DHs ended up in the Infinity Club (and another one, Matt Davidson, produced negative WAR, but was only paid the league minimum). Like in the outfield, most of the Infinity Club members used to be talented players who have since been moved to DH to keep them out of the field. In most cases, their bats don’t make up for the lack of defensive production. If you’re thinking about paying someone big money to play DH, here’s a piece of advice: don’t. Starting rotation: Luis Severino, NYY; Aaron Nola, PHI; Robbie Ray, ARI; Jimmy Nelson, MIL. Backups: Zach Godley, ARI; Michael Fulmer, DET; Brad Peacock, HOU; Jon Gray, COL.
Young studs dominated on the mound this season; this rotation could hang with some of the best in baseball. Luis Severino took a big step forward with the Yankees, and has been tabbed as a potential Cy Young winner in the years to come. I love Robbie Ray. He’s a strikeout artist, and despite the lucky .267 BABIP helping his core numbers this season his stuff is for real. Jimmy Nelson had shoulder surgery at the end of the season, and hopefully he’ll be able to bounce back from the operation and continue to build on his breakout season. As for Aaron Nola, well, at least there’s someone to watch in the City of Brotherly Love besides Rhys Hoskins. Infinity Club: Jesse Chavez, LAA; Mike Fiers, HOU; Bartolo Colon, ATL/MIN; Yovani Gallardo, SEA; Ubaldo Jimenez, BAL; Derek Holland, CWS; James Shields, KC. Say it ain’t so, Bartolo. He never settled down in Atlanta, and posted some awful numbers (an 8.14 ERA in the first half of the season) before being released and subsequently picked up by the Twins. Mike Fiers, Yovani Gallardo, and Derek Holland were all upside signings by their respective teams in the hopes they would have bounceback years; clearly, they didn’t. Please don’t get me started on Ubaldo Jimenez; I saw a rumor that my Tigers were interested in signing him and I almost gave up baseball forever. Top options: Corey Knebel, MIL; Archie Bradley, ARI. Other options: Alex Claudio, TEX; Felipe Rivero, TB; Roberto Osuna, TOR; Tommy Kahnle, CWS/NYY. Old and new styles make an appearance in the 2017 All-Economy bullpen. Corey Knebel established himself as one of the top closers in the game after seizing the 9th inning from Neftali Feliz in Milwaukee. His curveball is a slingshot that baffles hitters. If the Brewers can find a bridge to get the lead to Knebel in the 9th, they could make some noise in the NL Central next season. Speaking of those bridge pieces out of the bullpen, Archie Bradley fills that position better than almost anyone. A converted starter, Bradley gives the D-Backs length out of the ‘pen; 20 of his 63 appearances lasted more than one inning. The improvement on his curveball and sinker propelled him to a 1.73 ERA this season, and with his arbitration years coming up the Diamondbacks will hope to get at least a few more strong years out of Bradley. Infinity Club: Blake Wood, CIN/LAA; Brandon Maurer, SD/KC; Luke Gregerson, HOU; Dustin McGowan, MIA; Seung-Hwan Oh, STL; Jim Johnson, ATL; Jeremy Jeffress, TEX/MIL. Does any spot have more year-to-year turnover than the bullpen? Last year we expected Luke Gregerson to play a key role at the back end of the Houston bullpen. Seung-Hwan Oh had a good year (19 saves and a 1.92 ERA in 2016) and an even better nickname: The Final Boss. Now, they’ve found their way into the Infinity Club, along with journeymen Jim Johnson and Brandon Maurer. It could be worse: these players at least threw enough innings to qualify. Sam Dyson, Neftali Feliz, and Francisco Rodriguez weren’t so lucky after being cut by their respective squads. Want to see where your favorite player ended up? Feel free to take a look at the whole spreadsheet on our Google Docs page.